Many of us are guilty of not being diligent enough when it comes to dental hygiene and booking in for routine dental appointments. If you’re due a dental hygiene appointment and haven’t been for a while, you might be wondering what will happen during your visit. 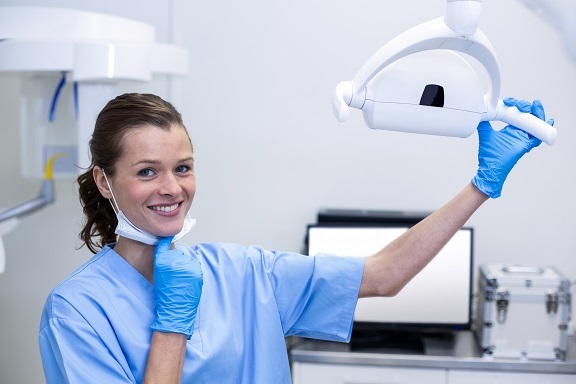 To put your mind at ease, in our latest blog, we’ll talk you through what to expect from a dental hygienist appointment. It might sound redundant to clean your teeth before a dental hygienist appointment but it’s a good idea to start your consultation with a clean mouth. As with any dental appointment, before you arrive you should brush and floss your teeth and use mouthwash. This ensures that the dental hygienist won’t have to spend time clearing debris from your teeth before professionally cleaning them. When you arrive at your appointment, the first thing your dental hygienist will do is to check your medical history and if you take any medication, so be sure to take a list with you if you have any regular prescriptions. Your hygienist will also ask you about your dental history, how often you brush your teeth, at which time of day you brush them, and the type of toothbrush and cleaning aids you use. They will also ask you about your diet – don’t be afraid to be honest, your dental hygienist is there to advise you not to judge you. Next, your dental hygienist will move on to the examination part of your appointment. During the examination, your hygienist will check your gums for any irregularities, bleeding, or early signs of gum disease. As part of the gum examination, the hygienist will measure the gap between your teeth and your gums to check for any signs of your gums receding, which is an indicator of periodontal disease. Before they clean your teeth they will also examine where the biggest build-up of plaque and tartar is and if your tooth enamel is healthy. After the examination, your hygienist will then professionally clean your teeth – this is commonly referred to as a scale and polish. No matter how diligent you are about your oral health, there are plenty of hard to reach areas on your teeth where bacteria can build up over time – something which requires a professional clean as brushing alone won’t be effective. Scaling removes all of that build-up of plaque and tartar, ensuring that bacteria doesn’t form on your teeth and accelerate tooth decay. After the scaling, your dental hygienist will then polish your teeth. Although this often thought of simply as a cosmetic procedure, polishing is an important part of your hygiene appointment. It helps to smooth the surface of your teeth, reducing the area where bacteria can cling to and build up and also helps to remove stains. An important aspect of your dental hygienist appointment will be the advice your hygienist gives you. Using their expert knowledge, your hygienist will be able to advise you on the best way to keep your teeth and gums healthy, and if there are any dietary changes you’ll need to make to better look after your dental health. To book in for an appointment with one of our dental hygienists get in touch with us today.